Join The Paramount Theater Kids Club! Join The Paramount for Free Community Events! As a local non-profit, it is a treat each time The Paramount Theater opens its doors to the community for free events. Whether sponsored by the theater, or through a partnership with a local agency, bringing the community in for no cost is a pleasure. Free events such as broadcasted UVA Men’s Basketball games and the World Cup on the big screen, or screenings of holiday movies take a lot of hard work by volunteers and staff. We are proud to be a part of such a giving community of staff and sponsors who help make these events possible. Learn about The Paramount’s beginnings in 1931 and our long legacy of community involvement from the Great Depression to the magical reopening. See the backstage Wall of Fame, where hundreds of artists have left their autographs and more! Reservations for the tour are strongly recommended, as space is limited. 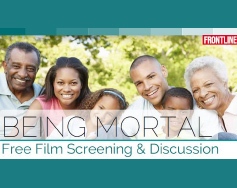 Join the Hospice of the Piedmont, Sentara Martha Jefferson Hospital, and the University of Virginia Schools of Nursing and Medicine for a free screening and discussion of the PBS Frontline documentary Being Mortal. Based on the best-selling book by Dr. Atul Gawande, this film explores the hopes of patients and families facing terminal illness and their relationships with the doctors, nurses, and family members who care for them. 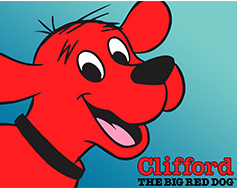 WVPT invites you to come celebrate their love for Clifford, that Big Red Dog, during the Virginia Festival of the Book. Celebrate our children’s love of reading and enjoy a WVPT/PBS KIDS Clifford show on the big screen for FREE at The Paramount Theater! The first 200 families to arrive will receive a free Clifford We Love You book! We are always announcing new free community events – stay informed by signing up for our newsletter at the bottom of this page or checking back regularly at http://www.theparamount.net/free-events. Today is National Caregivers Day! In that spirit, we’d like to honor one of our favorite fictional caregivers, Amélie! Played by the striking Audrey Tautou, the subtly eccentric title character of the 2001 award-winning French film is a shy but thoughtful young woman whose selfless acts make her a special kind of caregiver. A grieving widow, a recluse artist, and a mysterious man in the Metro station all become the subjects of Amélie’s kindness – when it’s not getting her into trouble. Inhabit the streets of Montmartre with this intriguing caregiver when we screen Amélie [R] on Sunday, February 19 at 2:00PM. Tickets are only $7 and are on sale now! 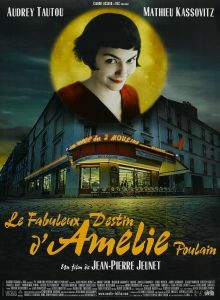 Purchase tickets to Paramount Presents: Amélie [R] HERE. So, What Exactly is the National Theatre Live in HD Series? 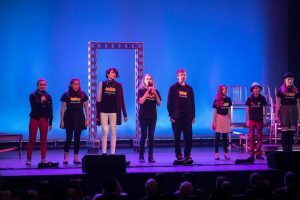 At The Paramount Theater, we strive to offer a wide variety of events, with a clear goal in mind: to not only provide entertainment and education opportunities, but also to make all types of performance art and beyond accessible to the Charlottesville-Albemarle community. 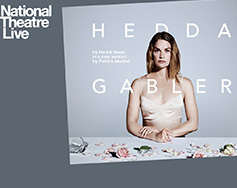 In manifesting our mission at the forefront of our programming, one important piece of every year’s lineup is the National Theatre Live in HD series. Each year, The Paramount broadcasts live performances from London’s West End. Past performances include Hamlet starring Benedict Cumberbatch, Of Mice and Men starring James Franco and Chris O’Dowd, and Arthur Miller’s A View from the Bridge starring Mark Strong. With every National Theatre performance, audiences can expect well-known and critically acclaimed productions, award-winning actors, and incredible sets. 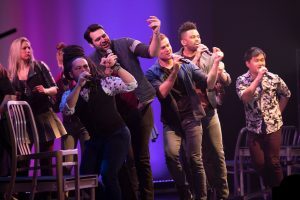 Though the productions (which are performed in London) are not played in real time, they are expertly filmed so that when they appear on the big screen at The Paramount the show truly comes to life in Charlottesville. 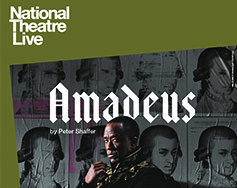 Lucian Msamati (Luther, Game of Thrones, NT Live: The Comedy of Errors) plays Salieri in Peter Shaffer’s iconic play, broadcasting live from the National Theatre with live orchestral accompaniment by Southbank Sinfonia. Wolfgang Amadeus Mozart, a rowdy young prodigy, arrives in Vienna, the music capital of the world – and he’s determined to make a splash. From the torment of the Hundred Years’ War, the charismatic Joan of Arc carved a victory that defined France. 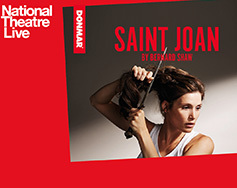 Bernard Shaw’s classic play depicts a woman with all the instinct, zeal and transforming power of a revolutionary. Hedda and Tesman have just returned from their honeymoon and the relationship is already in trouble. Trapped but determined, Hedda tries to control those around her, only to see her own world unravel. Tony Award-winning director Ivo van Hove (A View from the Bridge at the Young Vic Theatre) returns to National Theatre Live screens with a modern production of Ibsen’s masterpiece. Tickets to these broadcasts are $10.50 for students, $12.50 for seniors, and $14.50 for adults. We are always announcing new live broadcasts – sign up for our newsletter at the bottom of this page to stay in the loop on NT Live in HD announces! Nonprofit Renters Hold a Special Place in Our Hearts! Did you know that The Paramount Theater is a nonprofit organization? As a nonprofit, we at The Paramount make our best effort to support other Charlottesville-Albemarle area nonprofits to ensure that the community has access to services at the Theater at an affordable price. One way that we make this effort is by offering a special rates to nonprofit organizations wishing to rent the space. We are particularly excited to welcome a nonprofit that has been a longstanding friend of The Paramount – the Piedmont Landscape Association! On Thursday, February 16, the Piedmont Landscape Association will hold their annual seminar at The Paramount. A day-long event that draws in hundreds of landscaping experts and enthusiasts, the PLA Seminar covers topics ranging from gardening best practices to the evolution of the horticulture industry. The 2017 PLA Seminar will feature such knowledgeable speakers as Allan Armitage, Nancy Ross Hugo, and Peggy Singlemann. 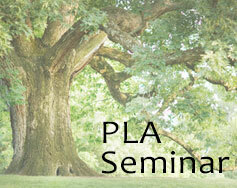 Tickets to the PLA Seminar are still available and can be purchased HERE. We are always thrilled to welcome nonprofits to The Paramount – reach out to us today to ask about our nonprofit rate for your next event! Happy Valentine’s Day from all of us at The Paramount! We may be a bit biased, but we think there’s nothing better than a romantic night out in Charlottesville with your sweetheart, whether it’s on Valentine’s Weekend or beyond. Surprise your special someone with a night on the Downtown Mall – and take some inspiration from our Perfect Paramount Downtown Date ideas below! Remind your honey of the good ole’ days with a flashback night full of fun nostalgia! On Friday, February 17 at 8:00PM, enjoy the sensational Matt Lewis – USA Today’s “Best Elvis in Vegas”, who will show you a night of Burnin’ Love! And before the show, treat yourself to a juicy steak or salmon filet at Water Street Restaurant, right on the Downtown Mall. Add a French flair to your romantic adventure in Charlottesville! 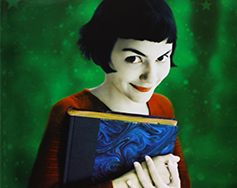 On Sunday, February 19 at 2:00PM, scheme with the quirkiest girl in Montmarte during a screening of Amélie [R]. Then, pop next door for to-die-for French cuisine at Petit Pois. We guarantee you’ll be hearing “je t’aime” before the night is through! For the couple who can’t resist a bit of elegance, there’s nothing more tasteful (literally) than the gift of the absolutely divine chocolate from Gearharts. Treat yourself to a sampling of Gearharts before a visit to The Paramount on Saturday, February 25 at 12:55PM – take your afternoon from classy to classical with our live broadcast of the Metropolitan Opera’s Rusalka, starring the beautiful Kristine Opolais. Sometimes the best Valentine is your little one! Show your kids the time of their life this season with a fun day spent downtown. First, excite their curiosity at the Virginia Discovery Museum, where they can explore scientific exhibits and even a mini Paramount Theater before the real thing! Afterwards, hit the sweet spot with a delicious variety of ice cream at The Paramount’s next door neighbor Chaps. 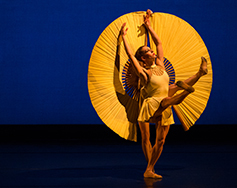 Finish off the night with the unique and visually captivating Momix – Opus Cactus on Sunday, February 26 at 7:30PM at The Paramount, and witness a blend of physical theater, circus, athleticism, and comedy unlike anything your child has ever seen before. The tension was palpable in the Theater last night as UVA went into double overtime with the rival Hokies – an exciting ACC basketball game that was broadcasted live on the big screen at The Paramount. Though we were sad to see the University of Virginia men’s basketball team lose such a tight game, we will always be proud of our hard-working Hoos! We are even more proud of the incredible spirit of Coach Tony Bennett, who is not only a resilient coach, but an inspiring community leader. 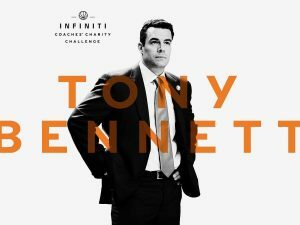 This February, Coach Bennett is participating in the Infinity Coaches’ Charity Challenge, sponsored by ESPN, in which the winner receives a grand prize in the charity of their choosing. Coach Bennett has chosen the Blue Ridge Area Food Bank – and if he wins the vote, BRAFB will receive 400,000 meals for hungry Charlottesville locals! You can vote for Coach Bennett by visiting www.espn/infiniti. You can vote daily, and what’s more, your vote enters you into a sweepstakes with prizes including signed memorabilia! Learn more about BRAFB HERE, and check back at www.theparamount.net to stay up to date on more UVA Men’s Basketball live broadcasts. 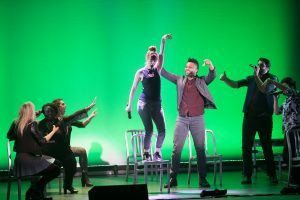 On January 28, 2017, The Paramount Theater welcomed Vocalosity, a one-of-a-kind a cappella group created by Deke Sharon (Pitch Perfect, The Sing-Off). 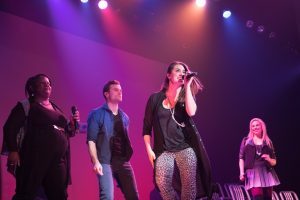 Vocalosity, with their intricate 10-part harmony and colorful energy brought a diverse but always exciting repertoire of hit pop songs that was exciting for kids of all ages, as well as the young at heart! 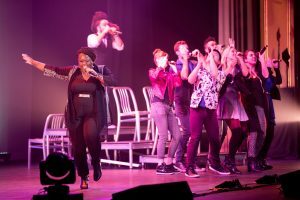 Vocalosity was joined on January 28 by the winners of our Aca-Perfomance of a Lifetime Contest, selected by Deke Sharon himself – local group DMR Adventures! 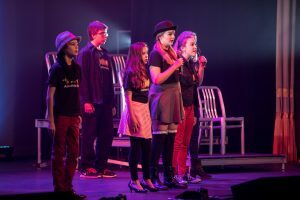 The Charlottesville‐based performing arts education program for local kids and teens performed as the opening act to Vocalosity and blew the audience away with their incredible talent and range. Learn more about DMR Adventures here. Courtesy of Rob Garland Photography. Get ‘All Shook Up’ For Matt Lewis – Long Live the King! 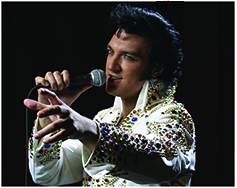 Back by popular demand since his last performance at The Paramount in 2007, Elvis impersonator Matt Lewis will return to the Theater on Friday, February 17 at 8:00PM! 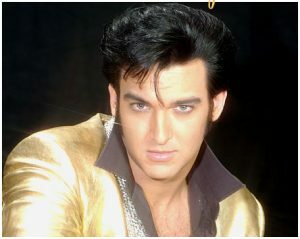 Hailed by USA Today as the “Best Elvis in Vegas”, Matt Lewis has toured the globe as a headliner for the world-famous “Legends in Concert” show, performed at the Imperial Palace Hotel on the Las Vegas strip, and starred in the 2007 film Tears of a King as Elvis himself. In Long Live the King, Matt takes you on a musical journey through the decades of the life of Elvis Presley, starting with the early years at Sun Records in Memphis and traveling through to the bright lights of the Las Vegas strip. The performance will also include a special appearance of “The Man in Black” by Cash Unchained. Performed by James 3 and Clare Sukley, Cash Unchained will entertain with greatest hits such as “Folsom Prison Blues”, “Ring of Fire”, “Walk the Line”, and more. This fun show makes for an exciting Valentine’s Weekend activity – so don’t forget to bring your sweetheart! Learn more and buy tickets to Paramount Presents: Matt Lewis – Long Live the King here. Thank You To Vibethink – Designers Of Our New Website! We hope you are enjoying our brand new website, created in partnership with locally-based web agency Vibethink! As a local non-profit theater, we were thrilled to partner with a local design firm on this project. Vibethink is not a firm that builds monuments to the very recent past, rather Vibethink is a digital problem-solver who empowers organizations to navigate the future. We were able to work hand-in-hand with their web developers to create an online experience for our patrons that is unique to your needs. Vibethink has worked with a large array of non-profits and corporate clients to enhance their web presentation and placement. The Paramount Theater extends a huge thank-you to Vibethink for helping us revitalize our website as a digital extension of our grand theater! Learn more about Vibethink here. Welcome To The New & Improved Paramount Theater Website! An Incredible Visual Experience – The Paramount Theater got a makeover in 2016 with the addition of the Blade – so why not give the website a fresh coat of paint! We hope that you enjoy our new look, and find navigation smooth and seamless. Streamlined Event Categories – The Paramount Theater offers four types of events: Live Events (such as concerts and lectures), Live Broadcasts (including the Met Live in HD and National Theatre Live in HD series), Movies, and Community Events that are free and open to the public. Search these events easily by scrolling over the “Events” dropdown menu! Updated Calendar Features – Only looking for events in March? Search for events by entering date parameters on the “Events” page! Virtual Tour – Take a virtual tour on the “Rent the Space” page to get a great idea of all the possibilities of the Theater as an event venue. The Paramount Theater is always growing and changing, and with it should be a digital experience that adapts with your needs. We invite you to take a digital tour and tell us what you think – we can’t wait to hear what you discover! Babar is Coming…and Bringing a Petting Zoo! The Paramount Theater is proud to join forces with community leaders to bring high quality performing arts to our community. We would like to humbly thank all of our sponsors for their support that has meant so much to so many. Thank you to The National Endowment for the Arts and the Virginia Commission for the Arts for their generous support of The Paramount Theater. Donations account for one third of the operating costs for the 501(c)(3) nonprofit Paramount Theater. You can be sure that your donation will make a difference. Persons with a valid student ID or proof of enrollment are eligible to purchase remaining tickets to all Paramount Presents performances at a 50% discount at the Box Office 45 minutes prior to show time. Youth/Child tickets are for patrons ages 12 and younger. All children must have a ticket (no “babes in arms”). Groups of 20 or more attending Paramount performances receive a 10% discount on the price of tickets (not valid for all shows). The complete order for a group should be placed at one time. Please contact the Box Office at 434.979.1333 for more information. The will-call window opens 2 hours before an event and 1 hour before movies/broadcasts. Ticket Donations: See eligibility requirements and request ticket donations here. Register your email below to receive occasional info on shows & events. Select the types of content you are interested in receiving.